Approaching a new city in an RPG – especially a game with classical 90s-style design – evokes a feeling that’s hard to define. As the fog of war pulls back to reveal the first set of gates and guards, a rush of exhilaration is inevitable. What lies beyond these walls? Are new party members just a few streets away? Are the merchants stocked with elusive new weapons? 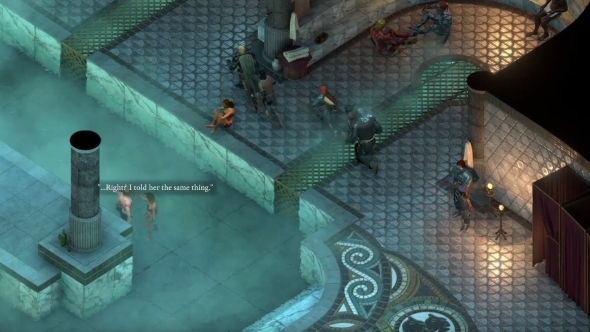 It’s a sensation Pillars of Eternity director Josh Sawyer knows only too well. 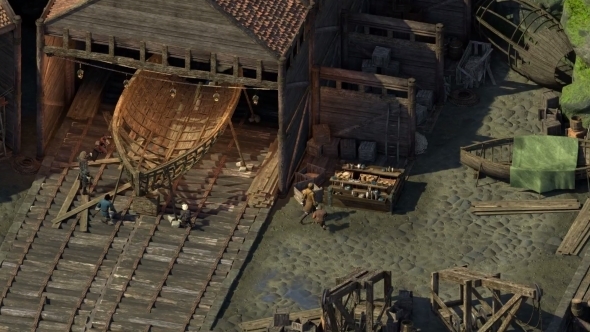 It’s why he’s so keen for Neketaka, an urban centre in Pillars of Eternity II: Deadfire, to become one of the genre’s most fascinating landmarks. The Huana are contemporaries of the Engwithan, the ancient society introduced in the first Pillars of Eternity. But where the Engwithan only left ruins for us to glimpse at their culture, the Huana persevered. The Huana residing in Neketaka aren’t the only strong-willed culture, though. The city, like any major power, is a bustling network of multiculturalism. Two large trading companies, each with their own ideals, practices, and turf, fight for coin and influence, while a collective of pirates do their best to anger both companies /and/ the Huana. It is, as you can imagine, a very noisy place. Multiple potential ally factions is by now a tradition when it comes to Obsidian’s RPGs, but it’s a system that’s yet to grow stale. Even at this early stage it’s tantalising to think about what chaos could be achieved by double-crossing groups. With Neketaka possessing such scope and bustling culture, you could be forgiven for thinking you’ll slip in unnoticed and be able to quietly manipulate its systems. Quite the opposite is the reality; you’ll be a big name from practically the moment you walk through its gates. And when everyone knows who you are, there’s one thing you can count on: an ever-growing line of NPCs demanding you help them out. 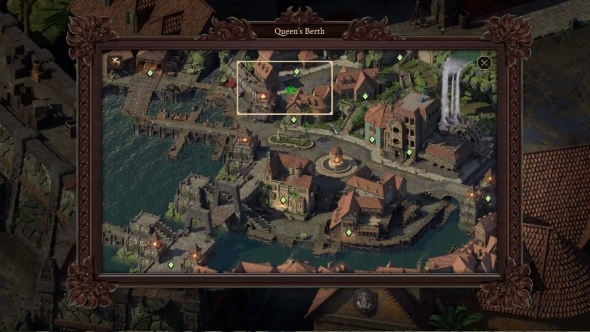 Pillars of Eternity II’s cities will, without question, feature dozens of quest opportunities, but Sawyer notes that Obsidian have been careful with how those opportunities are presented. As you travel around Neketaka, you’ll find that the citizens respond to you in a variety of ways governed by a specific sense of logic. This is based in Obsidian’s wish for NPCs to be notably and realistically reactive. The fact that Obsidian are happy to face these challenges head-on is what continues to make their work fascinating. And based on the evidence here, it looks like Neketaka could be destined to join Baldur’s Gate and Athkatla in the hallowed halls of RPG’s finest travel destinations. 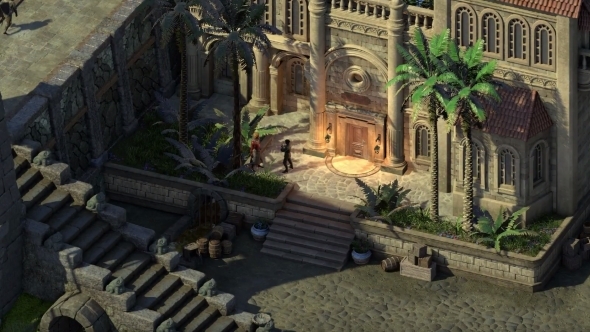 We’ll find out if it lives up to the brochure when Pillars of Eternity II: Deadfire releases next year.